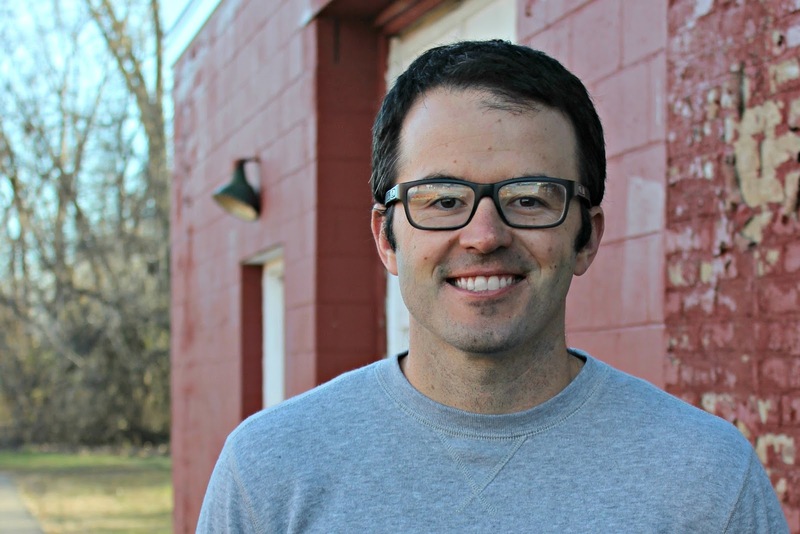 Colby Sharp is a fifth grade teacher in Parma, Michigan. He and his wife have five children (Breslin, Dharia, Adelai, Hobbes, and Harvey). Helping kids find the books that help them fall in love with reading brings him tremendous joy. Colby has been a classroom teacher since 2006. 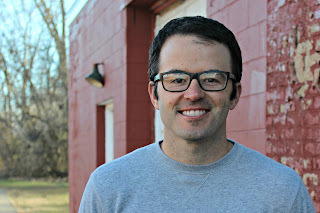 In 2011, he started the Nerdy Book Club blog with his friend Donalyn Miller. He co-hosts The Yarn podcast with Teacher Librarian Travis Jonker. Colby also serves on the Nerd Camp Michigan team. Nerd Camp is a free literacy event that takes place in Parma, Michigan each summer. His first book, The Creativity Project from Little Brown Books for Young Readers, came out earlier this month. Great books. I am looking forward to delving into The Amazing Collection of Joey Cornell. I haven't seen this one yet. Thanks Colby. You will love it! It is fascinating. Thanks for sharing the inspiration about these great books, all so unique. I think humor is something that inspires me and also reading about people who never give up. Oh my gosh, Colby Sharp. You are ausome-tastic!!! Thank you so much for pumping me up about reading and writing this morning!!! Pleased to meet you!!! What a super-duper video post! I'm so pumped by Colby's mentor text suggestions and his inspiring words! One recent book that takes a creative medium for a meaningful and timely subject is WHERE WILL I LIVE? by Rosemary McCarney, Canada's Ambassador to the Office of the United Nations. Because of the use of real photographs, this non-fiction picture book portrays the issues facing children impacted by the refugee crisis in a moving manner. Happy reading! I need to check that one out! It’s interesting that three of the books are biographies. I think many picture book biographies could serve as inspiration for kids depending on their dreams. One of my favorites is Me . . . Jane by Patrick McDonnel. Thanks for this list of inspirational books, Cody. Me...Jane is my all-time favorite picture book. Awesome inspiring video! Thanks Colby. Great list! 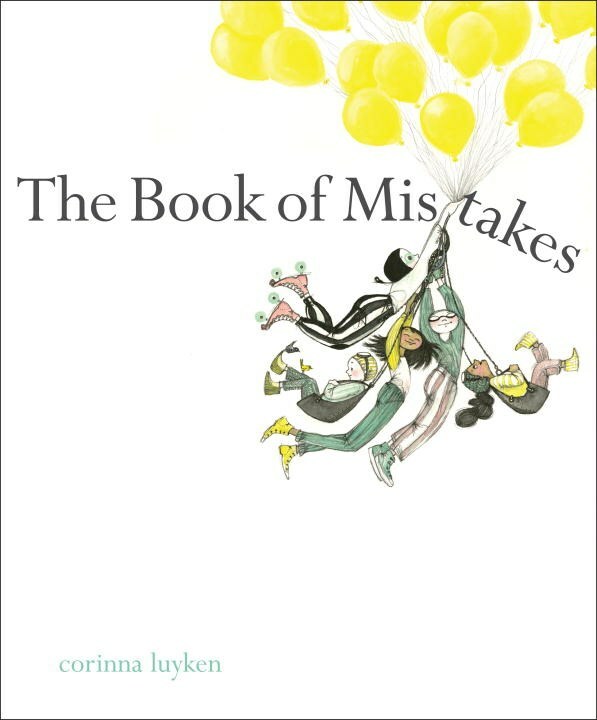 I just ordered The Book of Mistakes for my classroom-can't wait for it to arrive! Great! Great! What a way to start a writing day! YEA!!! for teachers and writers like you Colby. Keep up inspiring young people. This retired teacher is glad to know that passionate, inspiring teachers, like you, Colby, are in our classrooms today. Your infectious enthusiasm is contagious! I can't wait until my lubrary gets these titles in. Thank you! I am blessed to have the best job in the world. This retired teacher is glad to know that passionate, inspiring teachers, like you, Colby, are in our classrooms today. Your infectious enthusiasm is contagious! I can't wait until my library gets these titles in. You made me think about book comps differently. I'm always looking for books with similar structure. For some reason I never thought about similar theme.Thanks. Can't wait to check your book out! Great video! Inspiring books! Thanks! Well that was FUN! Thank you for waking me up this morning. I love Joseph Cornell and haven't seen this book so I'm excited to read it. I'm excited to show my son Between the Lines (he's an artist whose always struggled with not being an athlete). MY BEAUTIFUL OOOPS is another great creativity story. Candace Fleming did an amazing job writing the Joseph Cornell book. She is one of my favorite nonfiction authors. Hi Colby! You always inspire me with your joyful spirit and love of children's books. I lean toward picture books by Peter Reynolds when it come to creating a creative spirit. I just read The Word Collector - a wonderful celebration of words. THE BOOK OF MISTAKES is one of my favorites! I have all my students read it K-12! Love that you have older students read it. Thank you for all the mentor text recommendations and for an inspiring video! I always think of Peter Reynold's The Dot as a great creativity inspiring book. But, really, there are so many picture books that I have read that have inspired me in one way or another to write my own stories. That's what this ReFoReMo Challenge is all about! I can tell you'd be an awesome teacher, Colby. Thanks for being so inspiring to youngsters out there! One of my favorite books about creativity is Danny's Drawing Book by Sue Heap. This is one of my favorite "off the beaten path" books that I happened upon at my library. I'd never heard of it. It only has 2 reviews on Amazon. Yet- I LOVE IT. It's a story about two kids making up stories while at the zoo, which Danny captures in his drawing book. Definitely inspiring to read to a group of kids before giving them a writing assignment of their own. I'll check it out. Thanks for the rec! WOW! Your passion and enthusiasm are contagious. Thanks for sharing these titles that inspire creativity and following your dreams. Love the video format! Thanks for the great suggestions. I love your energy. Subscribed! That means a lot. Thanks! Thanks, Colby. I do love all of your choices, but I am most looking forward to getting my hands on your new book! Thank you! I hope inspires you to create something awesometastic! Thank you for this very fun and uplifting post about creativity! Perfect way to spark my muse this morning. Your students are lucky to have you for a teacher!! Love the books. Thank you Colby! These books were so fun to read. I really liked Between the Lines and totally identified with Sam & Eva! 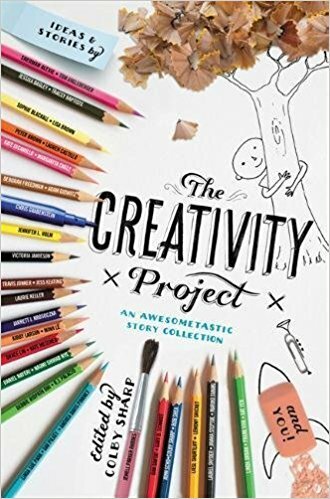 Can't wait to read the Creativity Project - it looks like a lot of fun. Thanks for your fun and inspiring video! Love these books, thanks for adding them to my reading list. So important to inspire kids to follow their dreams! If you don't chase your dreams...I don't know...that would be really sad. Always looking for ways to help my students DREAM BIG. Wow, Colby—you have made me so excited to read these books! What a great video presentation. I think about creativity a lot—what inspires it, what keeps it going, what to do when it feels like it’s gone. Almost all books inspire me on some level. One of the first books that inspired me to write was ALICE THROUGH THE LOOKING GLASS. More recently, I loved, loved, LOVED, THE BEAR AND THE PIANO. RADIANT CHILD is awe-inspiring. Can’t wait to read The rest of these books. The Bear and the Piano is awesome! YOU inspire creativity, Colby! What a wonderful gift you are! Love the books and the video! Thanks so much! Can't wait to read the ones I haven't yet. Thanks for an inspiring list, Colby. Fabulous post! As I'm listening, it's inspiring my creativity! What a fun post with terrific examples of books that inspire creativity. Your enthusiasm is enough to inspire, Colby. Your kids must love being in your class. One of my favorites is THE MOST MAGNIFICENT THING by Ashley Spires. I LOVE being in class with them. They are so cool. Well that was super! Thanks so much, can't wait to read!! 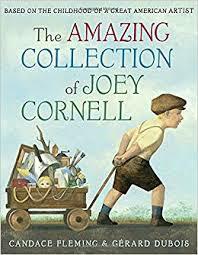 Thank you for sharing the Joey Cornell book. I haven't seen that one yet, but I just ordered it! Love the diversity you presented to us! Looking forward to reading your debut! I have seen some of the podcasts. Doing a great job for kids and parents. Thank you! Good choices Colby. I learned something new. Thank you. Thanks for doing a video--I love hearing about books! Great video and wonderful choice of books, Colby! I enjoyed your video and enthusiasm, Colby, and I love all the books you picked. I'm also a huge fan of books that inspire creativity. Two that I like (that aren't new) are Roxaboxen and The Big Orange Splot. Loved the video! I also like What Do You Do With an Idea? for sparking creativity. Love, love, love the video. Thanks for pointing out what you loved in each book. I'm looking forward to reading them....and your book, also. Thanks for the video and your book suggestions! Thank you Colby for your inspiring energetic post. I cannot wait to read the Amazing Collection of Joey Cornell. The title Book of Mistakes says it all about creating and striving. Thank you, Colby. Awesome video presentation. Great selection! Following dreams and art and collections seems to be the theme of this group of books. I could only find 3 of them but I will keep looking. Thanks for new titles. I’m looking forward to checking out some of these titles! Love this video! Such great enthusiasm. Loved your video, your awesome enthusiasm about creativity and the info about these books. Can't wait to get your book. Colby, your video made me smile the entire time I watched it (glad nobody was looking at me from the other side of the computer!)! I love how these books show children the potential for achieving large dreams and the power of trying to reach them. I also loved the explanation that in art, there are opportunities, not mistakes. You are too fun:)!!!! Loved the video, Colby. You exude energy and creativity, so this is a perfect topic for you. Love that these books look at creativity from so many different angles. Thanks for sharing! OMG, I'm inspired just from watching your video! I love your presentation, enthusiasm, and way you connect with your listeners! I just subscribed! I also wrote down some notes to share with our school librarian about doing a lesson on creativity, using your suggestions!!! Thank you so much! Keep rockin' your classes with inspiration, and congrats on your new book baby! We'll be adding it to our school library collection!! Your videos got me excited and inspired. Thanks! I enjoyed your video- your enthusiasm is contagious! The Book of Mistakes is wonderful and clever. I've requested the other books from my library, and look forward to reading them all. Looking forward to taking a look at a couple of these I haven't seen. Thanks! Thank you, Colby, for sparking some positive vibes in my day! Loved your examples of creativity. I look forward to reading your new book. A couple of my fav creative books are ISH by Peter Reynolds, and MAYBE SOMETHING BEAUTIFUL: HOW ART TRANSFORMED A NEIGHBORHOOD by Isabel Campoy. This video was AWESOME!!!!!!! Love connecting this way with our teachers. Thank you! I'm inspired! Look forward to reading and sharing The Creativity Project. Love how you connect with your audience through video!!! Thanks again for being part of the 2018 ReFoReMo family!!! Thank you so much for doing this post as a YouTube!It was wonderful to see your enthusiasm for these books and made your post come alive. Thank you for inspiring our children and their teachers! Thanks for your video talk. Can't wait to read these books. Loved your picks for picture books that inspire creativity! I've read two of these picks, and the rest have been added to my "must read" list! Also enjoy the energy and enthusiasm for books and reading that you bring to your video posts! Thanks for sharing your insights and joy with us! I appreciate the selection of books and the presentation. Looking forward to reading your new book too. Thanks! What a creative post. Thank you! COLBY SHARP is what inspires me. Whenever I think about a teacher like him sharing my writing with kids I’m pumped to write more! And it’s my dream to do Nerd Camp some year! Thanks for sharing these titles and your awesome video. I love your videos! Your enthusiasm is contagious. So much fun to watch the video and read the books! You make me want to be more creative!! Thank you! Thank you for this inspiring list of mentor texts. Your enthusiasm is contagious--wonderful! I love to see a classroom filled with books! Thank you for sharing in video format--that was a nice surprise. So inspiring! Thanks for sharing your enthusiasm! Creativity should be a project on everyone's *must do* list. Thanks so much for sharing. Video post...AMAZING!! This was such a fun way to experience this post!! Thank you Colby! My favorite of this lot was The Book of Mistakes. Such a cool book. I love reading special books like this that really only work because they're made by author-illustrators. I so enjoyed that you did a video for this, Colby! Great book choices. Just received The Creativity Project, and I love it! This was super fun to have a video presentation. I would have trouble choosing only 5 books to share! I love your enthusiasm for these beautiful books, Colby. And I have The Creativity Project on hold (it's popular!) at my library. Can't wait to read it! Colby, your enthusiasm and the way you described each book inspired me tremendously! I will try to check out your website and UTube videos with my grandsons when they visit at spring break. Looking forward to reading your new book and recommended books in the near future. As a fellow teacher, I can see how much you truly love your students and what you do. What a calling! Your students are blessed to have you in their lives to encourage them to use their creative gifts and pursue their dreams. I think my daughter needs to read SAM & EVA. Can't wait to check it out, along with THE AMAZING COLLECTION OF JOEY CORNELL! Wow! I am one of those people who tends to avoid TVs, movies, and YouTube videos, but I may reconsider after this. Colby, I really appreciated the video, and even after reading — and loving— all your choices, your insights gave me a much deeper appreciation of them. Thanks. Thanks for your enthusiastic endorsement of the five books. All of them are wonderful mentor texts, for not only are they creatively written, but they also inspire us to think creatively about how to present our own work. I enjoyed learning about Ernie Banks and Joseph Cornell. 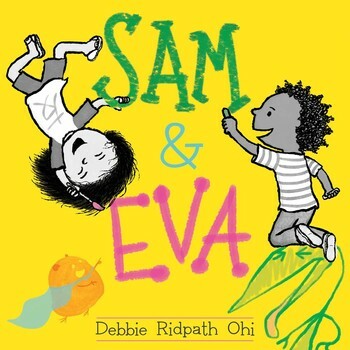 Debbie Ridpath Ohi's illustrations almost swirled off the pages! Great list, Colby. I love the idea of the Nerdy Book Club and literacy camp. Thanks for all you do for kids! Thanks Colby! I'm excited to get writing and revising! THANK YOU for the "AWESOMETASTIC" post! Your enthusiasm for your book examples is TRULY INSPIRING! 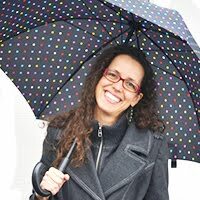 THANK YOU for ALL the AWESOMETASTIC work you do to promote children's lit. OH, HOW I WISH I WAS YOUNG ENOUGH TO ATTEND YOUR NERD CAMP! I am also involved in a writing camp each summer in SLC, UTAH, called Write On! Workshops Camp. I LIVE THE REST OF THE YEAR JUST FOR THAT WEEK! I love listening to your enthusiasm for books. I'll check these out. Thanks for inspiring creativity in your kiddos. I also teach. Heading to the library tomorrow to check these books out! Thank you For sharing! Also subscribed..,such fun and excitement! Love your video! I can't wait to dig into this list of books. You sold them all so well. Thanks for all you do for kids! How fun to have a video for our blog today! I love your enthusiasm. Thank you for the list of mentor texts. Great theme choice! I love your energy, Colby! I’ve read all but one of your suggestions. Those are truly amazing, inspiring books. I have to get my hands on Sam & Eva now. Thanks! Thank you for your inspirational message and suggested books! Thank you for the suggestions! The Book of Mistakes is so brilliant and really inspired my first grader. I just finished The Amazing Collection of Joey Cornell...loved it for the inspiration and creativity it models! Wow! Colby, you are obviously an awesome teacher! Thanks for sharing these titles about inspiring creativity. Here are several others which I've enjoyed. Love the diverse selections for inspiration. Thanks for this terrific list and inspiring video, Colby, Can't wait to introduce THE AMAZING COLLECTION OF JOEY CORNELL to my daughter, who sometimes thinks that her amazing collages aren't "real" art. We've already shared RADIANT CHILD and THE BOOK OF MISTAKES, which reminded us of a favorite of ours, BEAUTIFUL OOPS, by Barney Saltzberg. Great theme! Virtually all of the manuscripts I´m working on have to do with creativity. Thanks! Love the Book of Mistakes and the Joey Cornell book. The Cooper Union is one of the best museums around for sure! Thanks for your post! Loved the post and the books you recommended. Loved the high energy and excitement you showed us in your video. Congratulations on your new book! Great books! SAM & EVA is so fun. I look forward to sharing that with my class. The three books about the artists were inspiring, and I am interested to see more of their work. I also enjoyed THE BOOK OF MISTAKES more this time around. Thanks! Thank you for your video post and the brilliant book recommendations. Great books! My favorite is Between the Lines. My 5 year old grandson loves art and has said he's going to be an artist. Lately he's been saying he wants to be a football player. No kidding!! I will renew this book and read it to him for some great conversation over a real-life story that says, he can be both! What timing!! Thanks! I really enjoyed this list of books and the variety of approaches creativity can take. I especially appreciate Sam and Eva with its message of collaboration. Very inspiring video. I love that the cooperation of Sam and Eva creates something bigger than their individual efforts. I don't know if the book "Radiant Child" includes back matter that wasn't read in the video recording I watched. But I was interested in what the author left out of Basquait's story. Steptoe had some hard choices to make. Thanks so much for the video recommendations Colby! Love that you chose so many brand new books. I'm thinking about books which inspire creativity and a couple come to mind. Pretty sure you know them, but I really love the classic Tomi dePaola's Art Lesson and the newer pbs Playing from the Heart, Peter Reynolds (2016) and Maybe Something Beautiful, Isabel Campoy & Theresa Howell (2016). Thanks for adding newer books to my reading list. I really liked how this was a video post--it helped shake things up! I loved reading THE BOOK OF MISTAKES. After reading it, my daughter and I took and did some scribbles which we then tried to turn into a fun picture. It was great to see what could come out of potential mistakes and the book does a great job at illustrating that. Thanks for the video and the creative list, Colby. Your enthusiasm is infectious! Your picks are wonderful choices! I love books that inspire creativity. Your excitement for reading is infectious! Thanks for the fun video and great recommendations, Colby. And have you read WITH MY HANDS? It's a fabulous picture book poetry collection by Amy Ludwig VanDerwater, all about making things. All kinds of things. And Liz Garton Scanlon's ANOTHER WAY TO CLIMB A TREE celebrates imagination even when you can't physically do what you want. Love the video format for today. Great books recommendations as well! Thank you so much! I loved the video explanation of why you chose these books! And I loved these books! Thank you for an,enjoyable and educational post. I'm inspired by Barb Rosenstock's creative approach to biographies. Thanks for all your enthusiasm and great book suggestions! The Book of Mistakes is amazing, I ended up reading that one several times because there is so much to it. Great books on creativity. ART AND MAX is one that I've enjoyed about creativity. Great video- loved looking at these from a new/creative perspective! Awesome video! Love your energy and creativity. Can't wait to get started on these books! Thank you. Colby, your enthusiasm is infectious. Thanks for keeping the focus on kids and their interests when choosing these books to share. I will definately go to your site! I forgot to mention several books that have inspired my kids: Chalk; The Night of the Paper Bag Monsters, Willow. Thanks again Colby! New books! I love that there's a picture book about Joey Cornell. I read an "adult" book about the amazing artist and he did inspire me as an artist. I love repurposing things to create something new and fun. Wow! loved your video and the books you recommend. creativity is a gift we have to tap into our whole lives. Letting kids know they have it is as astounding gift that they will never lose. I've signed up for your blog. No one else did a video. That's what I loved about your book choices, the unexpected twist. Mr. Sharp! As an educator, I know the rewards of sharing the love of literacy and learning with my students. Thank YOU for sharing the love of literacy and learning with your students and with us during ReFoReMo. You are admired. You video blog post idea was so creative! I'm looking forward to diving into your Nerdy Book Club blog this summer. In the meantime, I really enjoyed The Book of Mistakes. My first and second graders sometimes get upset when they make a mistake in marker and it's a challenge to help them see how to change it. This is a great book for that situation. Thank you for adding it to your blog! The Book of Mistakes showed (not told) students how to make something positive out of what could be considered a "mistake." I loved that angle and how the illustrator zoomed further and further out on the last pages to show that everything we had just been looking at was really small, and part of something beautiful. 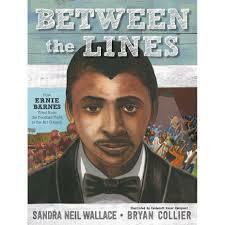 Between the Lines was one of my favorite stories throughout the month because Ernie's story was so memorable. Like mentioned in the video, it shows you can pursue your childhood dreams even when you're pushed in different directions. Never give up on what you're passionate about. 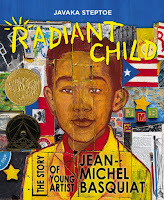 Radiant Child was another memorable one for me. I loved the line: "The energy and life of the city can be felt in each line of his drawings." I learned about an artist and his life story, so at the end of the book I came away with some art history and a valuable lesson. Having both of those can be rare in children's books because they often have one or the other. I think many of the bird books (Day 11) could inspire creativity. Birds are a symbol of freedom, so I believe those book selections could inspire free, uncaged imagination. THE BOOK OF MISTAKES made me think of Bob Ross- I love that concept, of embracing a mistake as a beginning: an opportunity. I tall that to my girls all the time. I think we may need to purchase that one! Thanks for these suggested readings. I've been using your Creativity Project book as a reward for myself to get some projects completed this month. I find lots of picture books inspiring, but right now I am in love with Nina Laden's YELLOW KAYAK. It's just so lyrical and illustrations that pull you in to wondering. By far, Book of Mistakes is my favorite creative-inspiration book, esp because of its message. Enjoyed your video too-so energetic! oh my gosh Colby you are a JOY to watch and listen to! I have just subscribed to your YouTube channel and can not wait to dive into more of your content. You speak so passionately about creativity in our youth & bringing fresh, inspiring texts before them. I just ordered your book from Amazon and look forward to getting my hands on it! I thoroughly enjoyed your selections. The Book of Mistakes was stunning! SUCH a creative way of portraying the importance of making mistakes. Thank you, thank you! Thank you for sharing these great books with us. Your video is so full of joy and enthusiasm, I subscribed! I appreciate that you took the time to tell us what it is about each book that inspired you to choose it, it must have been hard to just pick 5. These are wonderful to read, thank you. this post in video was such a pleasant surprise! One can tell Colby has a deep passion for KidLit! Thanks so much for this! I'm so glad to have read two of your recommendations, Colby! Now I need to read the rest :). Thank you so much for all the work you do to help kids fall in love with reading. I think Colby captures the heart at the core of each of these books. All inspiring choices! Thank you! Thanks for your video and this great list of mentor texts. For really young readers I love the book "Beautiful Oops!" by Barney Saltzberg. I am inspired by your enthusiasm. I'm looking forward to getting my hands on a copy of The Creativity Project. This is a great group of books to inspire kids to be creative in so many different ways! I'm excited to see some of your other YouTube videos too! Thanks for the reminder to cultivate and celebrate and connect with kids' impulses toward creativity. The mentor books you highlighted, some of which are new to me, some of which are already favorites, are great examples of this. Peter Reynolds' books also do this really well. Wonderful post, Colby! 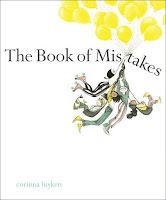 I also love The Book of Mistakes, and thinking about creativity! Just ordered The Creativity Project! What a wonderful video post! Your energy is so contagious! Thank you for all these wonderful books to check out! Two of my kids' favorite books that inspire creativity are "Beautiful Oops" and "The Dot." Love both of those! Thanks again!